Update: Price is now $89.97. Hope you got one before they raised the price. 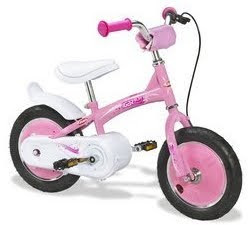 Playskools Glide to Ride Girls Bike is only $35.99 (org $199.99) and ships Free with Amazon Prime. This is an awesome price at 80% off.